If there is one phrase I advocate it would be “you get what you pay for”. This phrase always holds true, regardless of what you are purchasing. If you are going to buy a product intended to perform a specific job it only makes sense to pay a little extra and get one that does the job flawlessly. Let’s apply “you get what you pay for” to an important topic like towing a trailer. 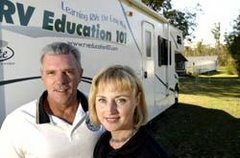 For the sake of an example let’s say you (the RV consumer) purchase a 6,000 pound travel trailer to tow behind your ½ ton truck. The brakes on the truck are designed to stop the truck, but not an additional 6,000 pounds behind the truck. 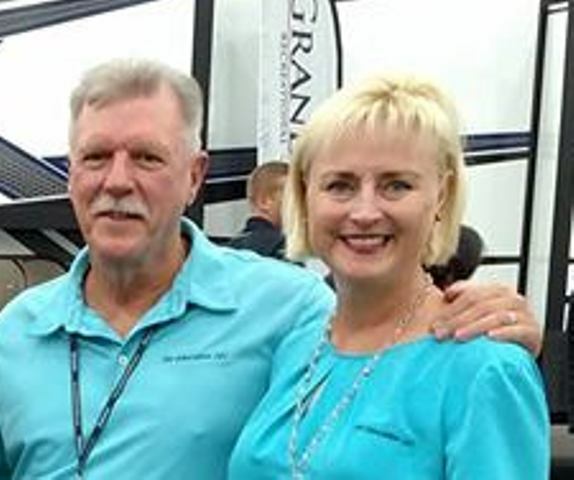 You are aware that you need to purchase an electronic trailer brake controller to supply power from the tow vehicle to the trailer’s electric brakes. You soon discover there are lots of different choices when it comes to electric brake controllers, and they come in a wide price range too. Do you purchase the $50 time based model and hope it works effectively? Stopping a 6,000 pound trailer is not something you should take lightly. It is a safety issue for you, your loved ones and everybody else traveling on the same road as you. This is where the phrase “you get what you pay for” really matters. 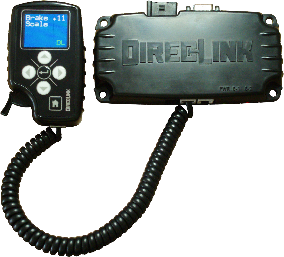 You have the choice to purchase a less expensive, very basic, time delayed electric brake controller and save a few bucks, or you can spend more and get a network based controller that plugs into the On Board Diagnostic II (OBD II) connector in the truck cab and gathers data from the tow vehicle to effectively manage the trailer brakes. The less expensive model sends a pre-determined amount of power to the trailer brakes every time you step on the brake pedal. What if the pre-determined amount of power isn’t enough for the current conditions? The more expensive model is a network based controller. This DirecLink network based controller can observe the engine, transmission and vehicle speed and then analyze all of the data to determine the proper level of trailer braking required to safely stop the trailer, based on all of the current conditions. It links with your vehicle’s computer network and uses multiple data parameters in a proprietary way to create amazingly proportional trailer braking. For safety, reliability, performance and longevity there is no question you should go with the better network based controller. Getting a high quality brake controller is a smart decision, but the only way to achieve optimum braking performance from the controller is to ensure that it is properly installed. If you use scotch-locks to make wire connections, rather than the correct type of sealed wire connectors, the more expensive brake controller might not work any better than the $50 model. The same is true if you use the wrong gauge wire over a certain distance, resulting in a drop in voltage and less efficient braking. For optimum trailer brakes everything in the brake system must be in good working order. In addition to proper installation of the network based brake controller it is extremely important that you perform routine maintenance on the remainder of the trailer brake system. This includes but is not limited to a 3,000 mile, or annual inspection of the trailer brake and bearing components. If you don’t feel comfortable performing this type of maintenance yourself you should have an authorized RV service center do it for you. All too often a trailer sits for periods of time not being used, and in many cases this non-use is for extended periods of time. When it’s time to use the trailer we tend to just hook it up and drive off without really considering what may have gone wrong while it sat in storage. It’s common for a battery to discharge, for tires to be dangerously low on air, and the trailer plug contacts to get dirty and corroded. If the trailer brakes don’t work properly because of a bad contact in the plug, or a tire fails because of under inflation it puts us and others in harm’s way. To help prevent these types of things from happening I want to include a simple pre-trip trailer checklist you can follow to make sure your trailer is ready to hit the road. ■Inspect the trailer plug and vehicle receptacle contacts for dirt, debris and corrosion. Clean the plug and contacts as required, ensuring a proper connection. Plug the cord in and test all of the trailer lights. ■Connect the trailer break-away lanyard to a secure connection on the tow vehicle. ■Test the operation of the trailer brakes. Remove any wheel chocks. Pull the trailer forward slightly and press the brake pedal to verify the trailer brakes are engaging. Test the brake controller manual override for proper operation. ■Check all tires for abnormal wear and any weather cracking/checking. If any cracks in the tire sidewalls are deeper than 1/32” have the tire inspected by a professional before towing the trailer. ■Check and adjust tire pressure in accordance with the federal certification label on the trailer or using the tire manufacturer load and inflation tables. ■Check the condition of the battery. Check the water level in each cell and add distilled water as required. Check the battery state of charge with a multimeter or battery hydrometer. If you don’t feel comfortable working on or around lead acid battery’s have battery maintenance performed by an authorized service center. ■Every 3,000 miles, or annually, schedule a trailer brake and wheel bearing inspection. For more great checklists check out our bestselling Checklists for RVers e-book with over 90 pages of checklists on all aspects of RVing.